I just got caught up with posting some new composer lapbooks to the Color In My Piano shop! As you may recall, I teach a Music History Class for homeschoolers each week. I started creating my own music history curriculum after I was unable to find anything quite like I was looking for. I ended up using the lapbooking format for my curriculum, because it is a visual, interactive way to learn historical facts and information. It has been quite a success so far! I am constantly impressed with how much information my students are able to absorb each week. I call my curriculum The Great Composers & Their Music. Each $10 pdf download includes all the pages you will need to print for each student to create their own lapbook, as well as a printable biography booklet, and a few pages of extra information for the teacher. The license for this curriculum allows you to print as many pages as you like, as long as you are using the materials with your own students. The curriculum is a pretty flexible. I teach each composer over three class periods, spending about 20-30 minutes out of the class on the lapbook. (We do other activities during the rest of the class time.) If you wish to use these lapbooks for a one-time class, you can probably cover the whole lesson in 60 minutes (or maybe 45 minutes if your students are junior high or older). A lot of it depends on how much time you devote to listening to excerpts of the composer’s music (a link to a YouTube playlist is provided). Forum Q&A: What piano book did you first learn from? Anyway, I though I would start a new Forum Q&A post today! Last time, we discussed duet repertoire — I hope you will go check out all of the responses so far by clicking here, and I also hope you’ll continue adding your favorites! What piano method books did you learn from as a child? Did you like the books? What did you like about them? 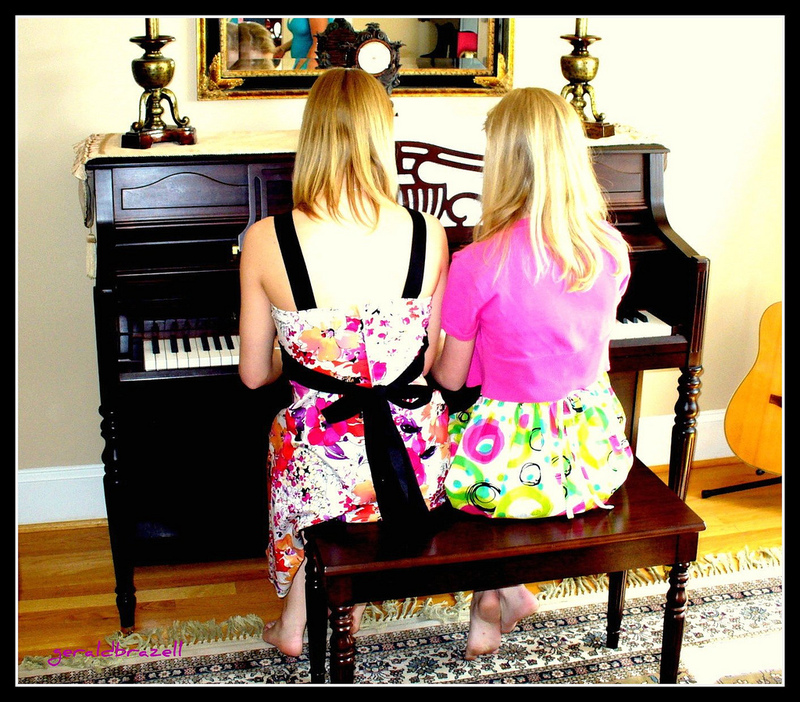 What else do you remember about your first piano lessons? I think it will be fun to hear your stories! I’ll try to post my own answer sometime this week, too. Photo of My Studio Featured in Clavier Companion! How exciting! I enjoyed browsing all the other studio photos in the article, too. I also recognized photos from some other bloggers: Jennifer Fink of Pianimation.com, Leila Viss of 88pianokeys.me, and Dorla Aparicio of missdorla.com. If you aren’t a subscriber of Clavier Companion magazine, definitely check them out! It is very affordable (both print copies and the digital version) and the articles are always excellent and inspiring. This post is a sequel to the post: 9 First Classical Anthologies for Piano Students. As mentioned before, anthologies are great for exposing students to a variety of composers and styles of literature at a great value. Below are descriptions of a smattering of different anthologies, along with my comments about each one. Be sure to share about your favorite anthologies in the comments! Classics Alive!, Book 1, ed. by Jane Magrath (Alfred). I love this book, and all the selections within it. It’s a great value, with 72 selections. The pieces start at a late elementary level. The editing is great, and the typeset is clean and easy-to-read. Books 1, 2, and 3 are available. Melodious Masterpieces, Book 1, ed. by Jane Magrath (Alfred). Again, I love all the selections in this book! Book 1 contains 38 selections, starting at an early intermediate level. The pieces are chosen for the purpose of encouraging the student to play expressively, or to suit the student who enjoys melodic, poignant literature. This book contains mostly Romantic pieces, although all periods are represented. When I was a 5-year-old beginner piano student, I remember being re-assigned one-/two-line method book pieces when the only thing lacking was dynamic contrast. And I remember being frustrated with this. My frustration was partly due to the fact that I was bored with the music I was playing; I wanted to be reading staff notation instead of pre-staff notation, as my mother taught me to do before she found me a piano teacher. Regardless, having to re-practice pieces that were already mastered, due to forgetting to drop from forte-piano to piano in one place was a hard thing for me to swallow. We introduced ourselves, and shared our favorite Christmas present this year. Christmas Recital and Name-That Tune game. Yes, I know Christmas is over! Because of how busy December often can be, I decided to try scheduling our students-only Christmas recital in early January instead. Besides, students always play their Christmas pieces through the break anyway, so they might as well do the recital after that! I took advantage of the fact that my students would be playing familiar tunes, and held a name-that-tune game. I gave each student the worksheet below, and they had to write down the titles as they heard them. If they got it correct, they got to color in the star on the right, in order to keep track of how many they guessed correctly. This was a huge hit! Even the students who didn’t know very Christmas tunes were able to learn some new ones by the end.